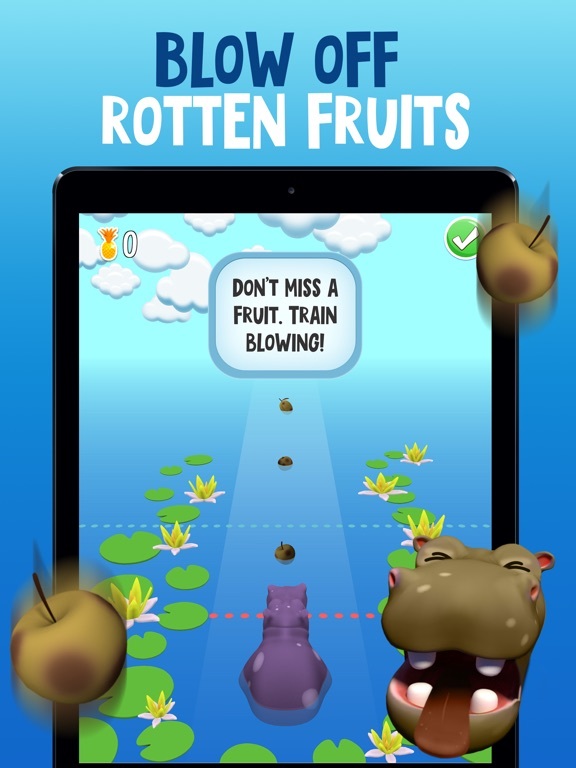 Count and catch fruits with your mouth to feed the hungry hippopotamus. Be careful, don’t let him eat rotten fruits and avoid overeating! The app uses the TrueDepth camera to recognize and detect the user’s facial expression. Face recognition is available only for iPhone X, to play on other devices, use touch control. 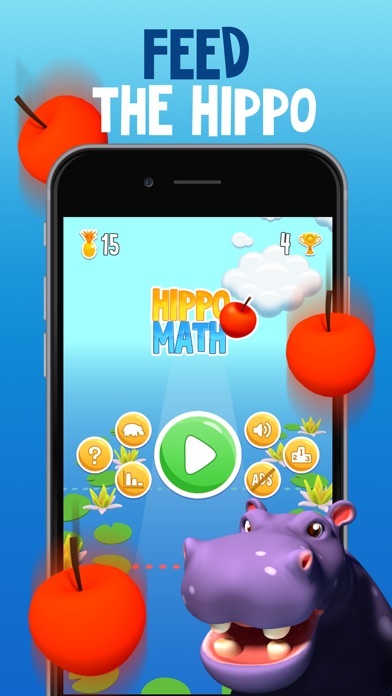 Hippo Math is appropriate for both adults and children. 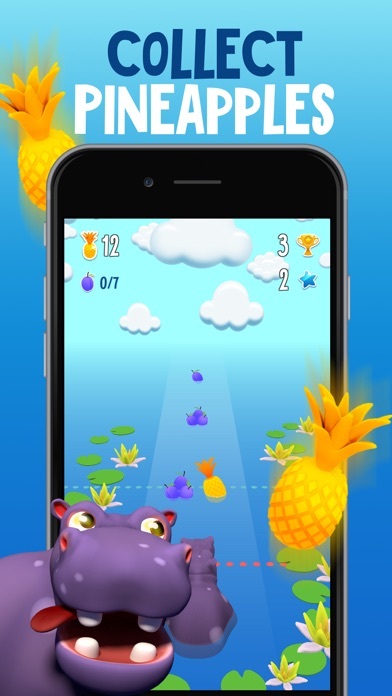 Starting the game, you’ll see a path with different fruits rolling down over it down to the hippo. You are also given a certain number of fruits necessary to eat. 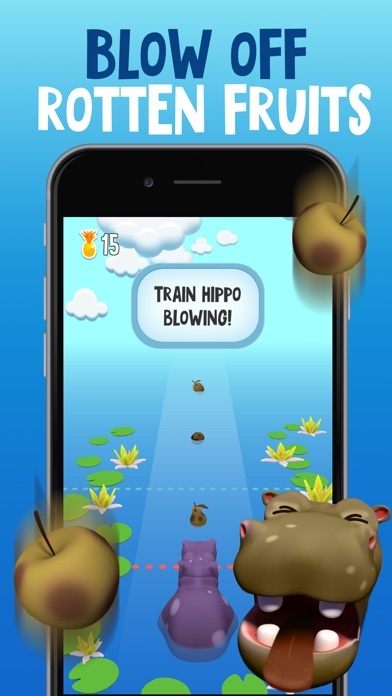 Your goal is to feed the hippo with the right amount of the necessary fruits. 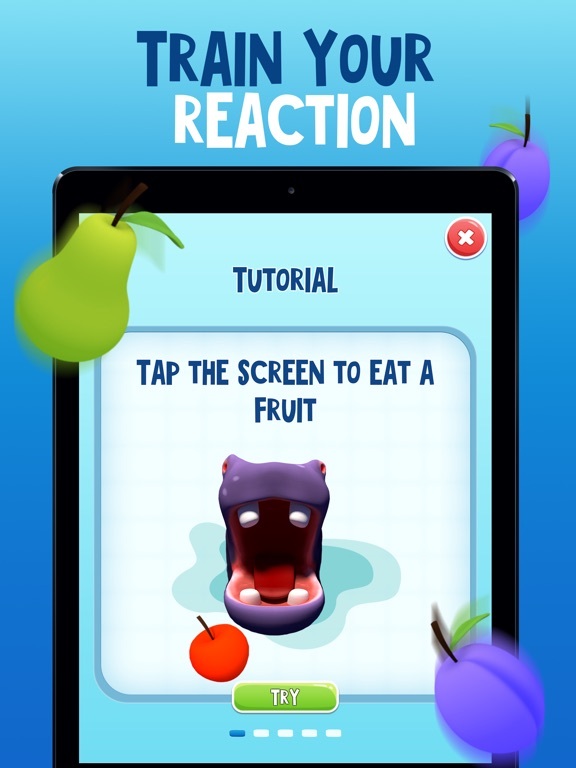 It is not a simple task as you should make the necessary facial expressions and count the eaten fruits simultaneously to win the game. ◆ When the fruits reach the blue line, open and close your mouth as if trying to catch them. ◆ If you don’t need any fruit - blow it off. 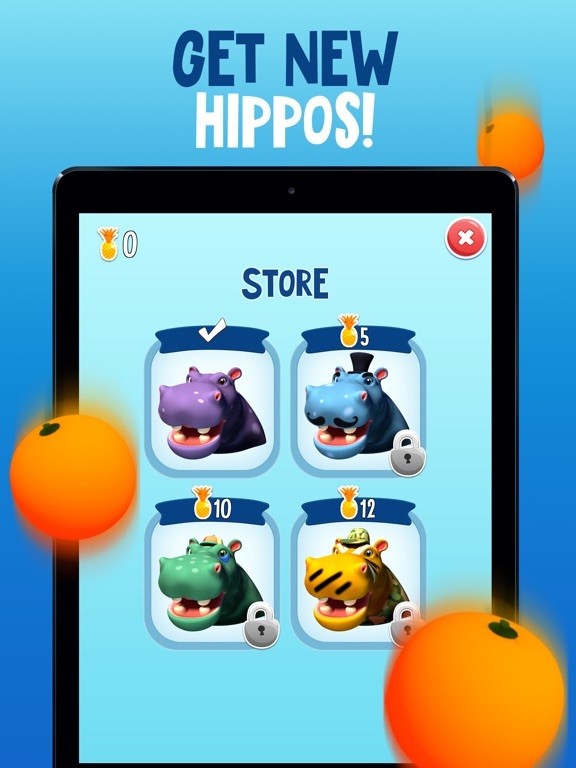 ◆ Do not overfeed the hippo - he should eat as many as shown on the screen. 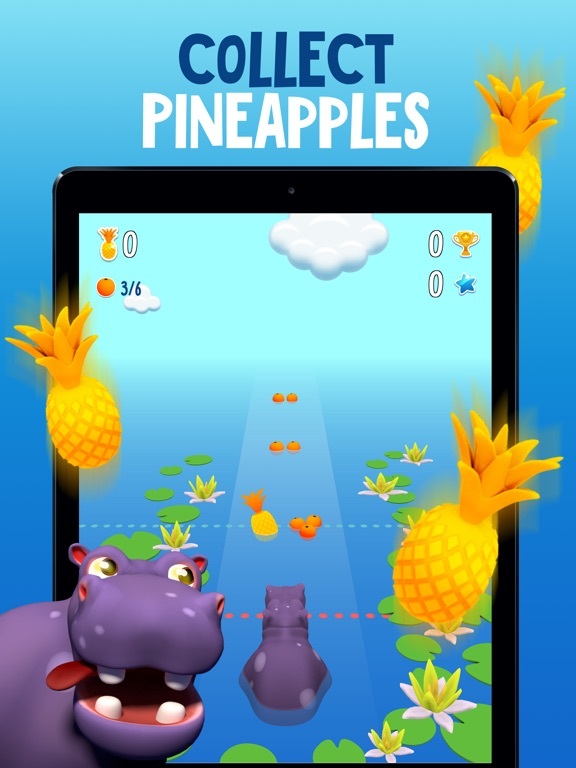 ◆ Do not let the hippo eat rotten fruits - he does not like them. ◆ Do not miss fruits that can be eaten. ◆ When counting fruits, you are supposed to add only 1, 2 and 3 of them. ◆ The level of difficulty gradually increases. ◆ The game continues until the first mistake. At first, you are given hints (how many fruits are eaten, how many are needed to be eaten). When you get the certain score the hints disappear, and you should calculate by yourself. 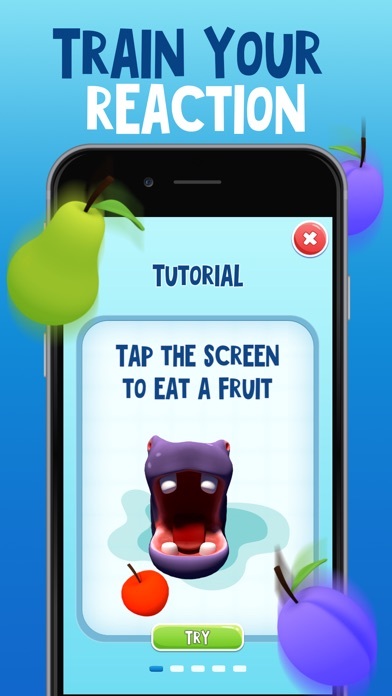 Later, you'll have to memorize the number of fruits necessary to eat, as it will disappear from the screen. When all the necessary fruits are eaten, they stop rolling down. 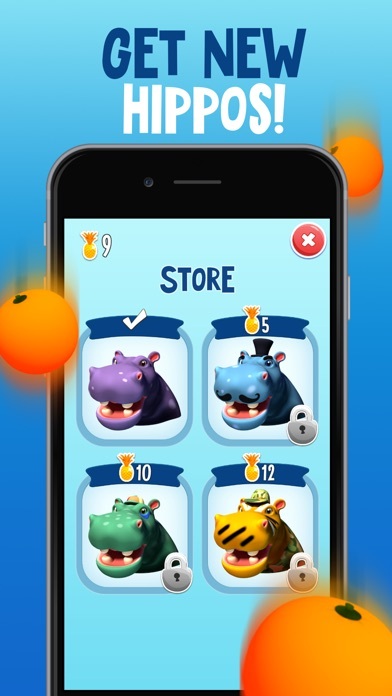 It means that the hippo is happy and you’ve won. 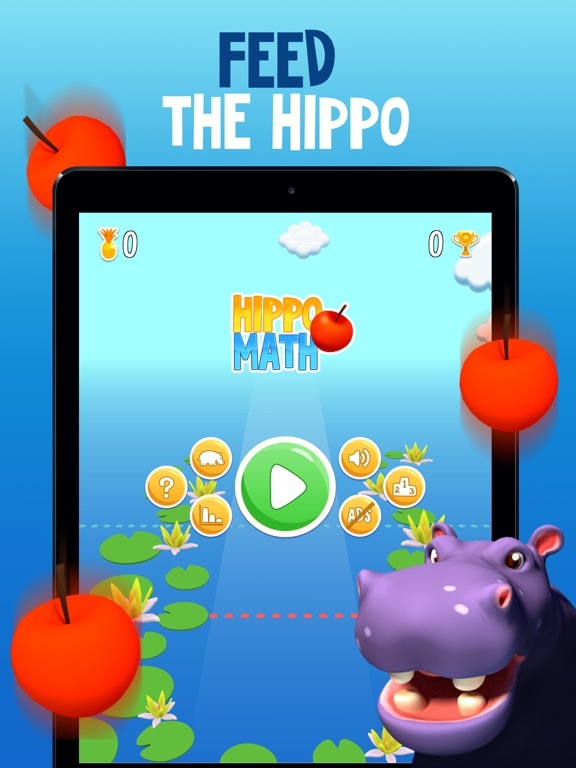 Improve reaction and counting skills with Hippo Math!